Corporates, kindly contact us should you be interested in sponsoring or employing one of our interns! Our internship programme is designed to give University and Universities of Technology graduates an opportunity to extend their academic qualifications through structured workplace exposure and specialised training. We have always maintained that effective learning can only occur when there is a genuine participation by the Students in meaningful activities in the workplace and to this end, innovative approaches aimed at introducing these survival skills, interwoven with technical and personal skills eases their transition into the workplace. Participants are placed on a full-time basis for a period of 6 to 12 months in the Velisa Academy environment, where they learn to develop to their potential! Data Centre support specialists in the making… All work and no play makes for some really talented interns! What makes the Velisa Internship Bootcamp different? You will be partnering with an organisation that is committed to develop people to reach their best potential. We build capacity in people through coaching, conversations, entrepreneurial work experience and mentoring, all while the youth are receiving formal training. Its end-to-end preparation in a dedicated resident environment. Our interns will not only be learning about their trade, but also about themselves and how they can become successful. And they will also be helping other sme’s to grow their businesses through our new commercial division. So it is an all-round job creation initiative for our future IT leaders. 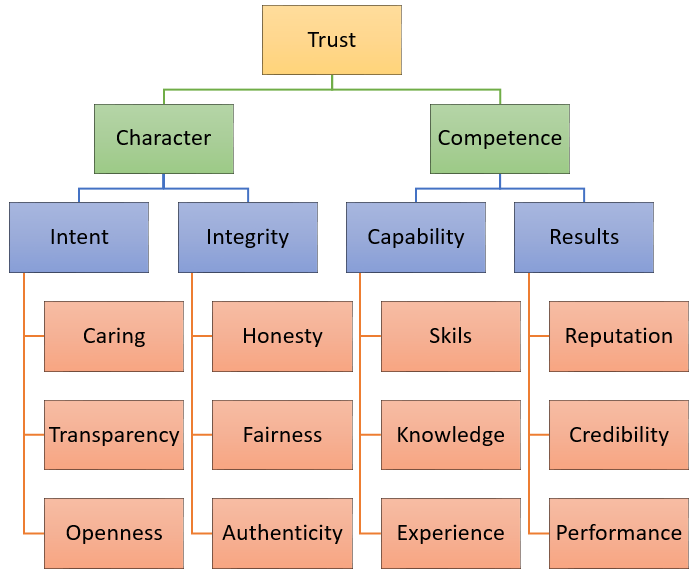 We focus on making the training real and meaningful. It’s no longer just about the concepts, but it’s about applying the theory with in their own entrepreneurial environment all within Velisa. The interns can also work on the employer’s projects. To empower graduates with practical knowledge leveling with qualifications. I wonder what Negotiations are going on in here, today? Interns 2016 Negotiation session at #VelisaAfrica – at Velisa Africa Academy. What does the Velisa Internship Bootcamp offer for an Employer? No fuss, no bother, no effort. We make it easy for you. For the cost of normal recruitment, we will deliver talented, adaptable, competent, loyal, eager-to-learn young professionals to you, who will enhance your workforce and your B-BBEE scorecard! 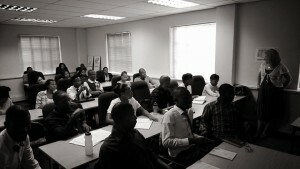 All our learners are trained on a daily, full-time basis in basic and advanced IT and work skills – the outcome of which will enable them to enter into the workplace with the correct etiquette, confidence and attitude, having gained greater knowledge and skills required to practically and easily integrate. It is the right time, in South Africa’s development, to do something which will attract positive attention; to increase your reputation in the economy and invest in creating a sustainable transformation and skills model for a specific industry-wide initiative. We want to partner with you in building the best possible potential skills pool for a sector where lack of skills can have critical impact. In doing so, you are investing in your organisation’s peace of mind! 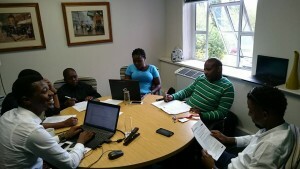 Our fearless chief facilitator, Lazola doing what he does best … Leading a #VelisaAfrica internship class .. This is on Troubleshooting techniques! Someone looks happy about this topic! 😉 — at Velisa Africa Academy. Our programmes are delivered through a blend of theoretical, practical and workplace experiential training. We are passionate about work-bridging youth development projects, because they provide us with an important platform to empower young people with the vital skills and knowledge to facilitate their transition into the workplace. Worldwide, we face high levels of youth unemployment and yet at the same time, a shortage of critical skills. Our government and South African businesses need to move our young people from education to employment. And we are there to partner them with you in this critically important life-cycle phase. 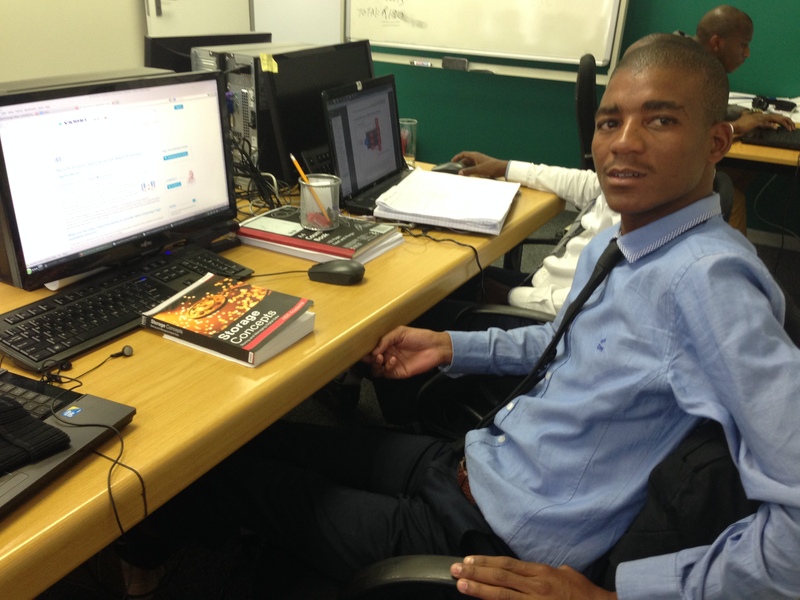 What does the Velisa Internship Bootcamp offer the Learner? The primary benefit for the graduate learner includes obtaining “real-world” workplace experience, brilliant specialised high-end IT skills, business and personal skills and the confidence and know-howto exercise all the learning!